The Gerrell B Memorial Scholarship was established in honor of a young man who died before his time. Gerrell was always dedicated to bettering the lives of those around him. Whether it was helping to breakdown the negative stereotyping of Black male teens or using his artistic skills to design the winning logo for the local youth recreation center, he often found ways to contribute to the community of Austin, Texas. This leadership scholarship was created to give students, like Gerrell, hope and a better chance to succeed. Click here to read Gerrell's biography. As part of this organization, he helped younger students study, and worked as a mentor in his high school. Even though he was dedicated to community service, he remained focused on his school work. He won an award for his visual art. He always had a passion for artwork and expressing himself. Gerrell's life was symbolic of the effect of peaceful activism and support in your community. 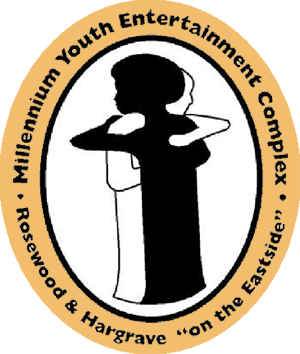 June 18, 1999 marked the grand opening of the Millennium Youth Entertainment Complex (MYEC), a safe recreational place for East Austin youth. The blinders were removed from the eyes of those who walked around in darkness, and helped young people to embrace one another, regardless of our differences. Gerrell was a strong Christian young man who led from his heart using his God-gifted hands and voice. He enjoyed music, and was a devoted family man. He was a boxer who won the Golden Gloves, one year. He was an advocate for voter's registration, and was passionate about local social issues. Gerrell died in 2003 at the age of 24.